A man from Warrensburg, New York is accused of setting fire to his vehicle, then reporting it stolen to police and his insurance company, media reports say. Terrance Blenman,39, left the country last December after filing those reports. 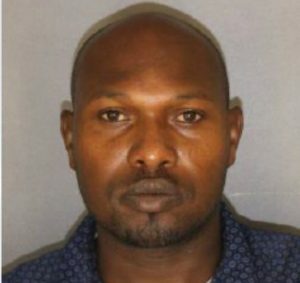 He was arrested this week at JFK Airport in New York City when he returned from Guyana. The Saratoga County Sheriff’s Department charged him with arson, insurance fraud and making a false written statement. The fire occurred in November 2017 off Spier Falls Road in Moreau. The Saratoga County Sheriff’s Office says Blenman intentionally destroyed a car he owned by starting it on fire. They say Blenman reported the car as stolen to police and his insurance company. Authorities add that their investigation determined that Blenman’s car wasn’t stolen and that he made a false statement to police while they were investigating. They say Blenman left the country in December after reporting the incident. He was arraigned in the Town of Milton Court and is due back in court at a later date.